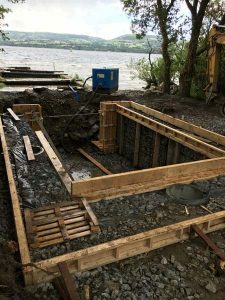 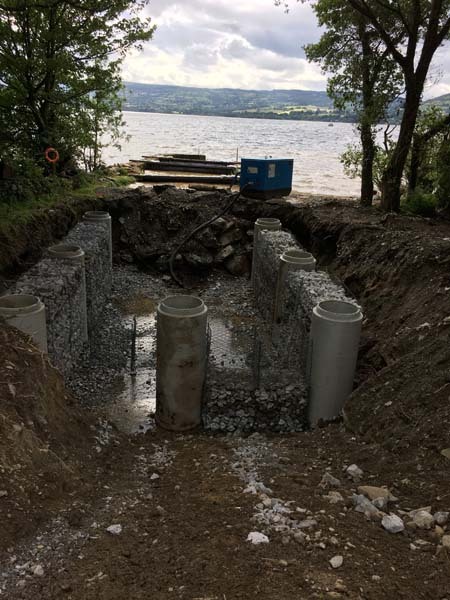 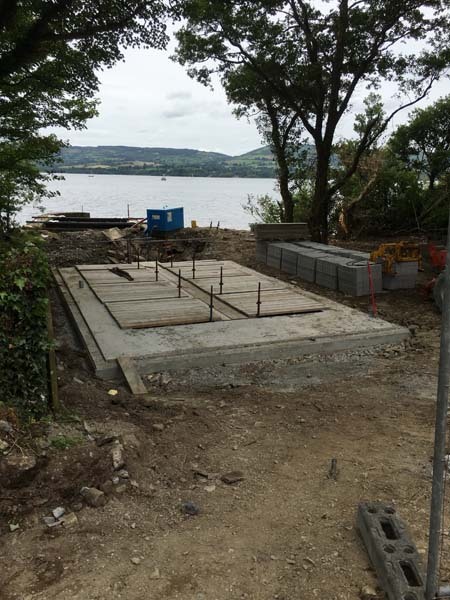 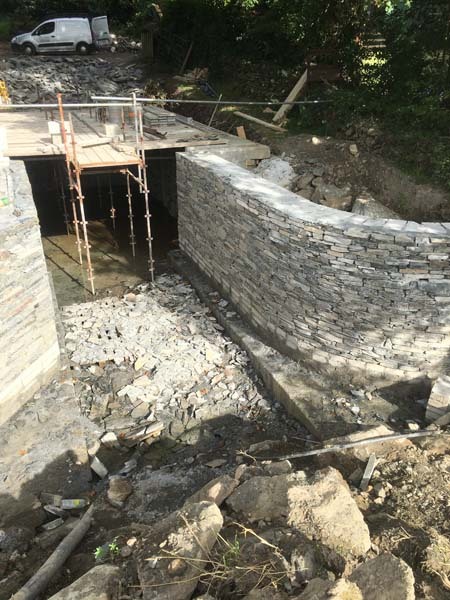 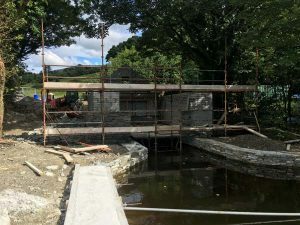 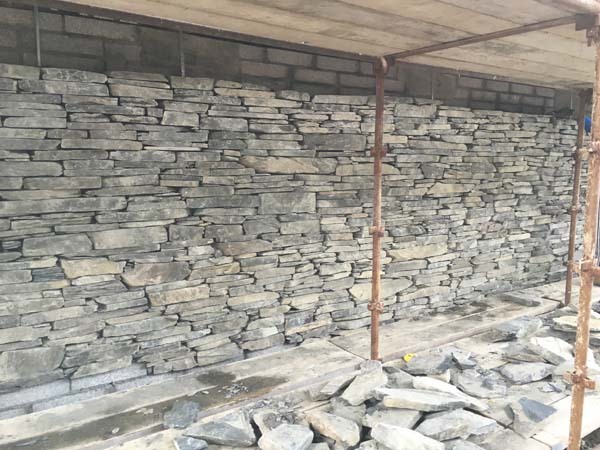 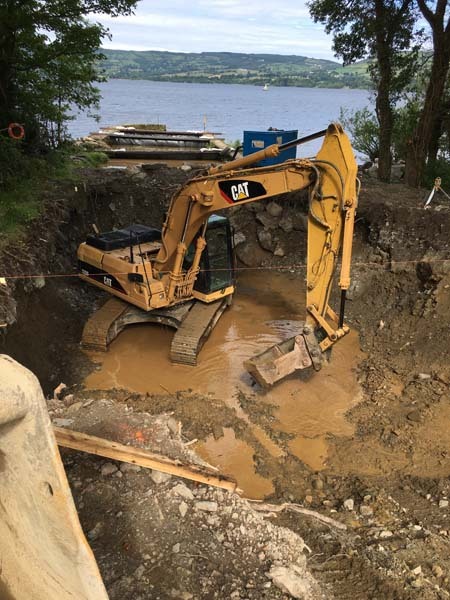 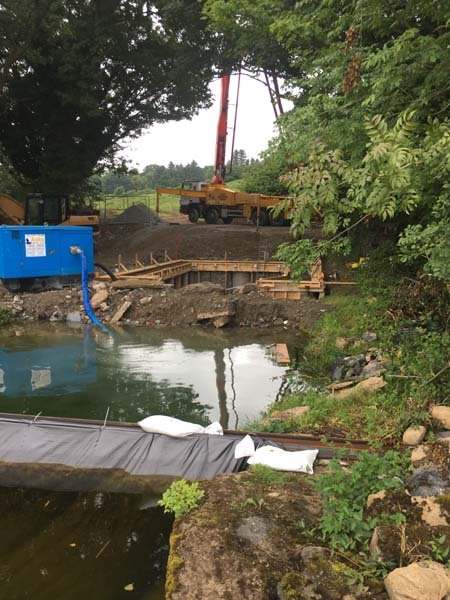 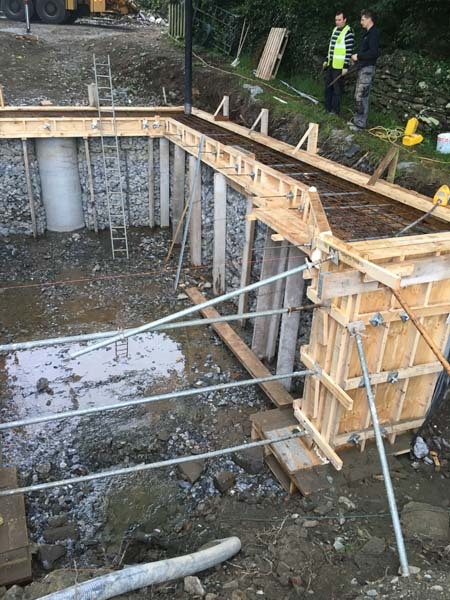 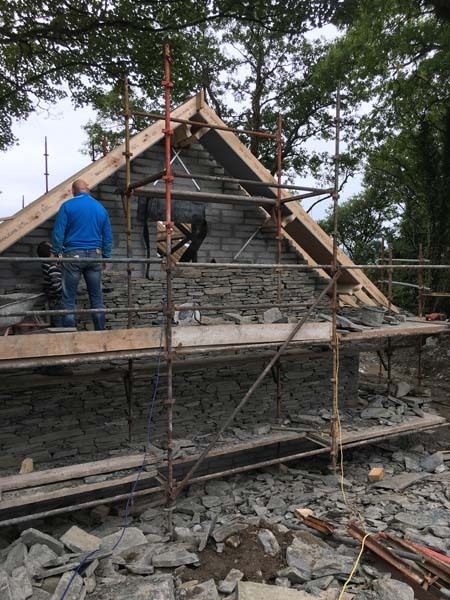 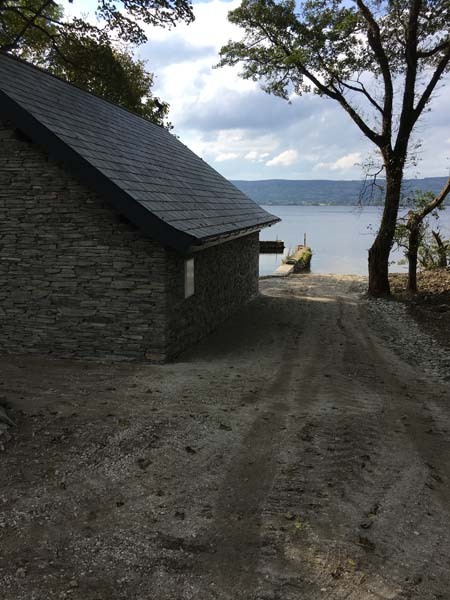 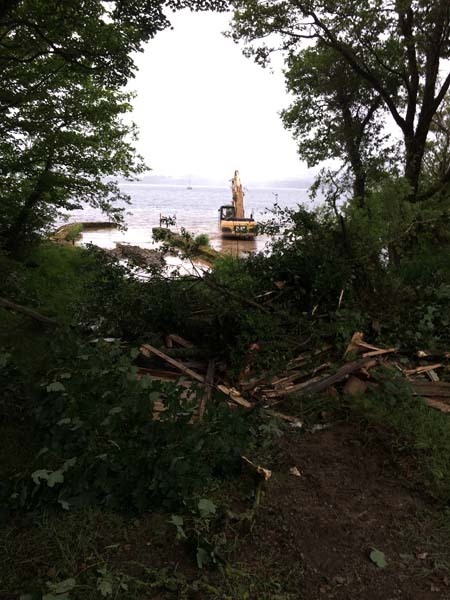 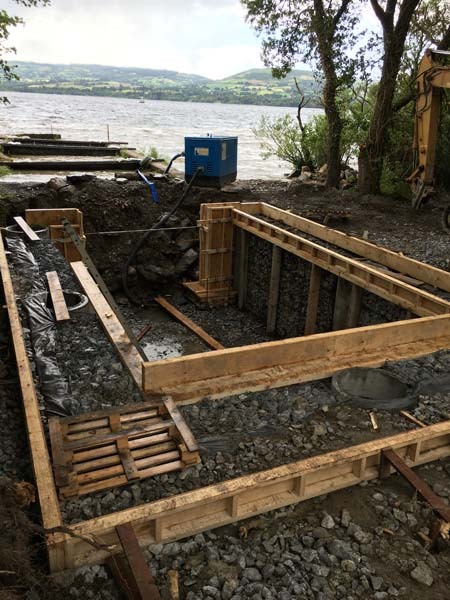 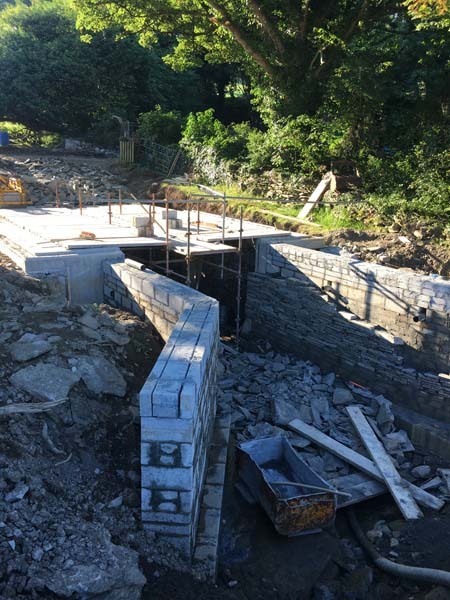 Construction of new boathouse in Lough Derg, Co. Clare. 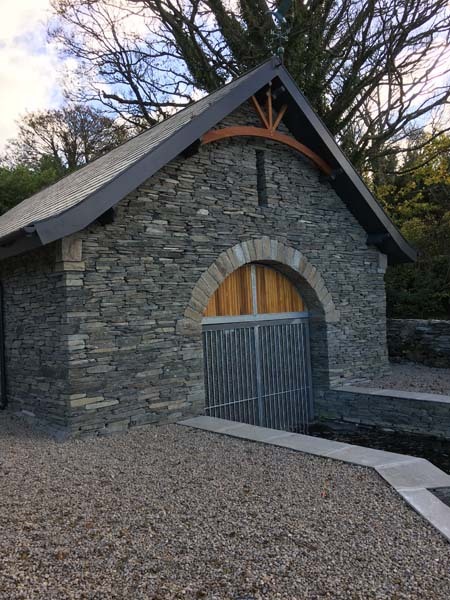 Using locally sourced stone and finished with notable joinery features including a decorative hardwood timber truss fitted to the front elevation. 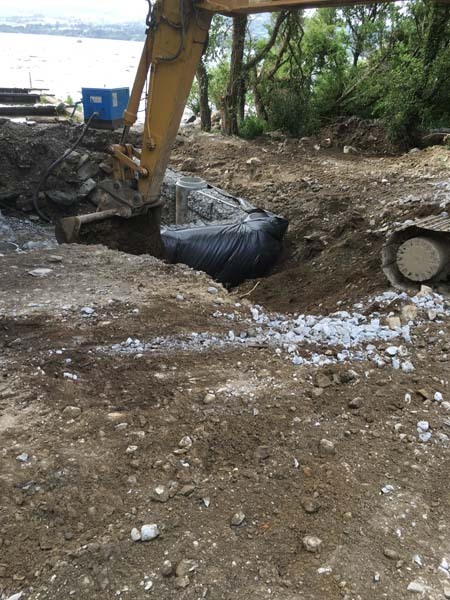 This project began with the dredging of the shore and the construction of appropriate foundations. 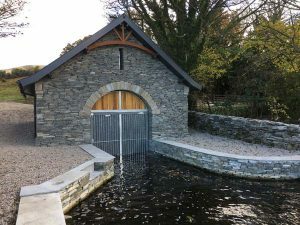 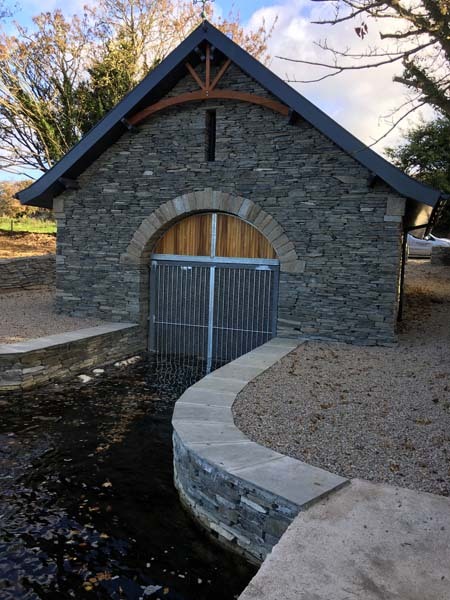 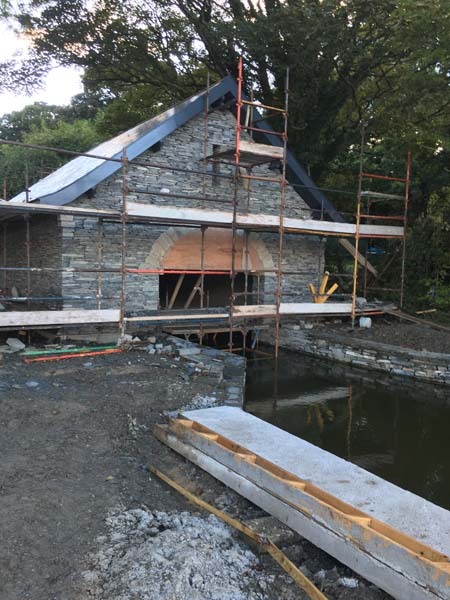 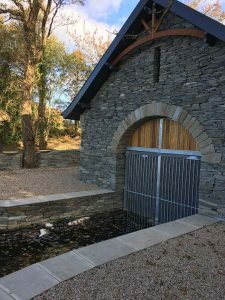 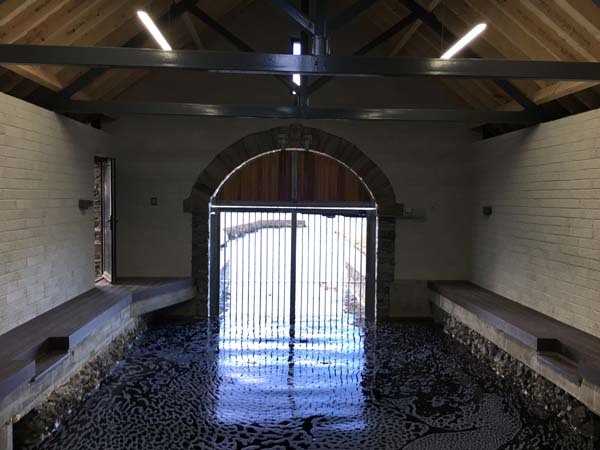 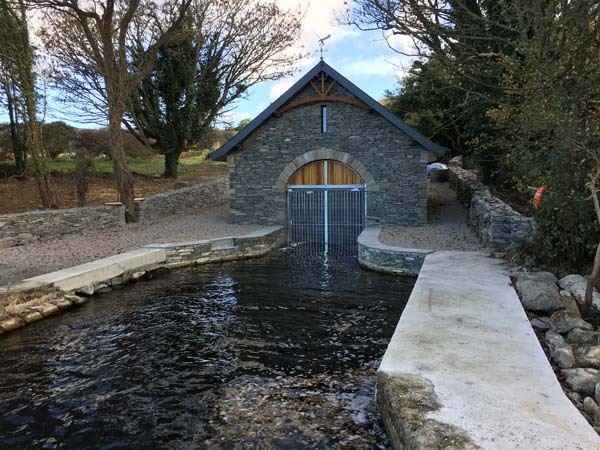 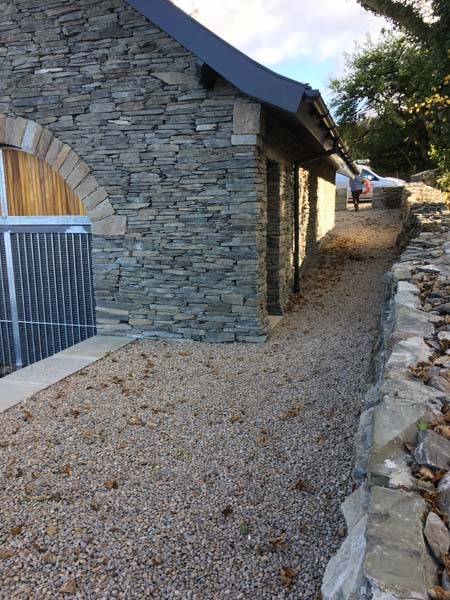 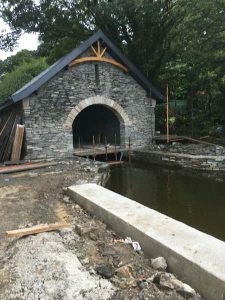 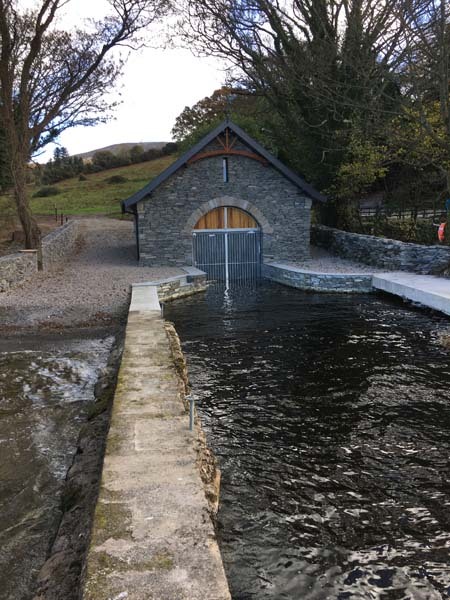 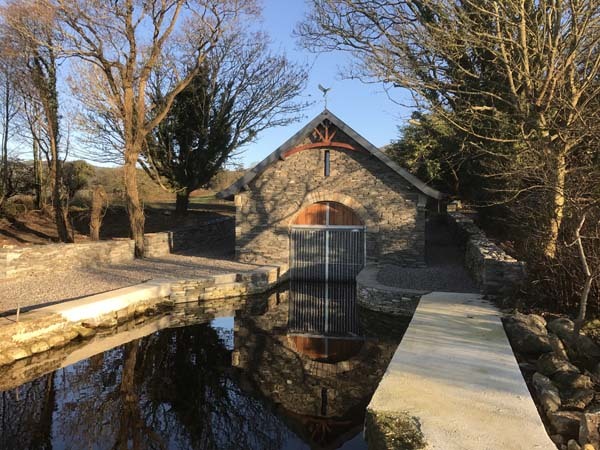 The boathouse was built using locally sourced stone and finished with notable joinery features including a decorative hardwood timber truss fitted to the front elevation. 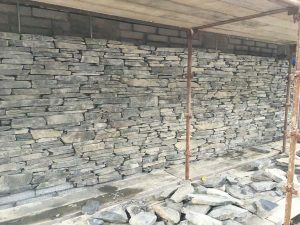 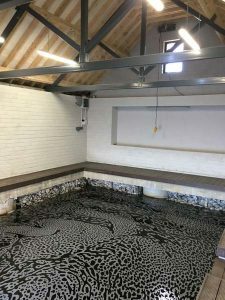 Other key features include natural slate roof, automated bird-proof galvanised gate and internal anti-slip marine decking floor.